On Wednesday, the U.S. Court of Appeals for the Ninth Circuit affirmed a $3.5 million verdict for Theme Promotions against News America Marketing based on antitrust and other violations. Theme Promotions, Inc. v. News Am. Marketing FSI, __ F.3d __, 2008 WL 3852724 (9th Cir. Aug. 20, 2008) (.pdf as revised Oct. 10, 2008). Background: Theme Promotions was involved in arranging theme-related promotions that would involve advertising multiple consumer packaged goods companies ("CPGs") in the same themed advertisement (such as a certain brand of cereal with a certain brand of soda). After selling the advertising space to the CPGs, Theme would then purchase free standing inserts ("FSIs") – i.e., coupon booklets often published in Sunday newspapers – in which it would run the advertisements. Although Theme had signed a contract to purchase FSIs from Valassis, News began including and enforcing right of first refusal provisions in its FSI contracts with CPGs to prevent them from participating in special event promotions organized by Theme unless Theme purchased the FSIs News. Prior Proceedings: Theme challenged News America's right of first refusal provisions as anti-competitive, and asserted that News engaged in unfair business practices. Theme filed suit in 1997. The lower court originally dismissed Theme's claims on a motion for summary judgment, but the Ninth Circuit reversed, reinstating Theme's claims in 2002. See Theme Promotions, Inc. v. News America FSI, 35 Fed. Appx. 463 (9th Cir. 2002). After a three-week trial in August 2005, the jury ruled in favor of Theme. The district court reduced the original damages awarded by the jury, setting aside findings for Theme on intentional interference claims as privileged under the Noerr-Pennington doctrine, and setting aside a negligent interference claim, but entered judgment on the state law antitrust and other claims for $3.5 million. Appeal to the Ninth Circuit: News appealed, arguing that there was insufficient evidence to support the verdict. Theme cross-appealed, seeking to reinstate some of the damages awarded by the jury but disallowed by the lower court. The Ninth Circuit affirmed the lower court's ruling, finding that "the jury verdict in favor of Plaintiff was supported by substantial evidence in the record." This is not surprising given the deferential standard of review. It is a victory for Theme, and may provide hope to other advertisers who are facing aggressive competition by News, and to other advertising companies that are currently litigating against News for its anti-competitive practices. For example, among the issues raised by News was the relevant market definition, which Theme had defined as the sale of FSIs to CPGs. The court found sufficient support for this definition, which may be a good sign for Valassis in its antitrust suit against News over FSIs, previously discussed here and here. On the other hand, the Ninth Circuit also affirmed the lower court's reversal of certain jury findings for Theme, and upheld the denial of a permanent injunction against News enforcing its right of first refusal provisions. The court held that "News supplied evidence that right of first refusal agreements result from competition between News and Valassis, and that an injunction would only serve to put News at a competitive disadvantage." The Valassis v. News is now scheduled for April 2009, while Floorgraphics v. News is scheduled for November 2008, and Insignia v. News is scheduled for March 2009. Related posts: Oral Argument in Theme Promotions v. News; Court Denies Insignia's Request for Documents from Other Litigation Against News. A Wall Street Journal article yesterday focused on manufacturers’ efforts to limit discounting by retailers by enacting and enforcing resale price maintenance restrictions. In the summer of 2007, the Supreme Court issued an important decision that provides significantly more flexibility under federal law for manufacturers to influence retail prices through the use of minimum resale price maintenance policies. In Leegin Creative Leather Products, Inc. v. PSKS, Inc., the Supreme Court held that agreements between manufacturers and retailers that set minimum retail prices would no longer be considered per se illegal under federal antitrust law – i.e., illegal on their face. Rather, these agreements will now be assessed under federal law using a more flexible “rule of reason” analysis, an analysis that incorporates an agreement’s business justifications and market effects. As we have previously discussed here, Leegin will likely spawn new strategies designed to better align retail prices with brand objectives. On-Line Retailer Discounting Dispute: In the wake of Leegin, the Wall Street Journal article summarizes a dispute involving on-line retailers of maternity and baby products. BabyAge.com and BabyCatalog.com Inc. filed an antitrust lawsuit against six baby-goods manufacturers and the retailer Toys “R” Us Inc., parent company of Babies “R” Us. The plaintiffs’ original complaint (.pdf) was filed in late 2005 and amended in late 2007 (the amended complaint was filed under seal and is not electronically available). The suit alleges that Babies “R” Us monitored competitors’ on-line prices and reported violations of the manufacturers’ minimum pricing rules. This reporting allegedly resulted in the manufacturers discontinuing shipment of products to BabyAge.com and BabyCatalog.com. The suit also alleges that Babies “R” Us canceled orders for one manufacturer’s products until the manufacturer enforced minimum pricing restrictions against on-line retailers. A related class action lawsuit (.pdf) also has been filed against the same defendants in the BabyAge suit. Other Resale Price Maintenance Updates: In May 2008 attorneys general from 35 states (which have state counterparts to the federal antitrust laws) sent a letter to Congress urging passage of a draft bill (pending in the Judiciary Committee) to reinstate the per se illegal ban on any minimum resale price maintenance strategies. Also in May 2008, as previously reported here, the FTC modified a prior consent decree that precluded Nine West Group Inc. (a women’s shoe manufacturer) from enacting any minimum resale price maintenance strategies. In June 2008, the Third Circuit found in Toledo Mack Sales & Serv. v. Mack Trucks, No. 07-1811, 2008 WL 2420729 (3d Cir. June 17, 2008) (.pdf) that a resale price maintenance program raised a triable issue of fact under the rule of reason, and remanded the case for trial to assess whether complaints by dealers caused the manufacturer to impose and enforce resale price maintenance restrictions, and whether there were anti-competitive effects. Unilateral vs. Collusive Action: Both the Supreme Court in Leegin and the FTC in its Nine West order emphasized the anticompetitive risk of a manufacturer enacting – or enforcing – resale price maintenance restrictions at the behest of one or more retailers. A decision to impose or enforce such restrictions should be made by the manufacturer alone, not in response to a retailer that is competing against an aggressive discounter. The BabyAge.com lawsuit (and related class action suit) focuses on the extent to which resale price maintenance strategies were the product of unilateral decisions by the manufacturers or collusive action by the manufacturers and a dominant retailer, Babies “R” Us. Legitimate Business Justification: Under federal law (following Leegin), resale price maintenance restrictions that are unilaterally enacted must be supported by a legitimate business justification – i.e., a justification that enhances a product’s ability to compete on the basis of service, quality, or price. As we have previously written here, examples of legitimate business justifications could include (1) encouraging product support investments, (2) reversing base sales declines, and (3) supporting brand positioning. Anticompetitive Effects: Following Leegin, the legality of a resale price maintenance restriction that is unilaterally enacted and has a legitimate business justification will almost certainly depend on the extent to which the restriction led to higher retail prices throughout a category. Higher retail prices for the majority of product sales within a category may be viewed by a court as an “anticompetitive effect” of a resale price maintenance restriction. A court would balance any such anticompetitive effect against legitimate business justifications to determine the legality under federal law of the strategy. Level Playing Field: Resale price maintenance restrictions should be evenly administered across competing retailers. If a manufacturer enables certain retail outlets – such as club stores, which tend to discount aggressively – to discount below a competing retailer’s minimum price point, the competing retailer will be competitively disadvantaged and may have a viable antitrust claim against the manufacturer. State Antitrust Laws: Many individual states have their own antitrust laws. States tend to follow legal developments of federal antitrust laws, as state antitrust laws tend to be modeled after federal law. Therefore, most states will likely adopt the principles of Leegin in assessing resale price maintenance restrictions. But certain states may reject the Leegin decision and continue to view such restrictions as per se unlawful. Indeed, as previously reported here, in March 2008, attorneys general from New York, Illinois, and Michigan filed a complaint against and entered a consent decree with a chair manufacturer that imposed minimum pricing restrictions with retailers. This action, coupled with the attorneys general letter to Congress (discussed above), suggests that assessment of state laws – and enforcement of the laws by attorneys general – will be an important consideration for stakeholders implementing or affected by resale price maintenance restrictions. A useful chart to assist in understanding applicable state laws governing resale price maintenance is available here. Conclusion: While resale price maintenance can benefit manufacturers, the complex and evolving nature of the law in this area requires them to think twice – and consult with legal counsel – before imposing minimum prices on retailers. Related Posts: FTC’s Nine West Order Explores Resale Price Maintenance Under Leegin; State Resale Price Maintenance Laws and Leegin; Herman Miller Contends That Consent Decree Allows it to Continue Minimum Resale Pricing Policy; Developing Legally-Compliant Trade Promotion Management Programs. The trial between FLOORgraphics, Inc. and News America Marketing has been pushed back from October 1 to November 12. Trial Postponed: Vacation Plans, Holidays, & Pre-trial Matters - In a letter to the Court, News America Marketing requested the delay, citing "a long-planned European [vacation] trip scheduled for two weeks in September" of one of its trial counsel and his wife, and religious holidays in October. News America also suggested that a number of issues could be addressed pre-trial in order to expedite the trial. FLOORgraphics responded with a letter opposing the delay, pointing out that there are other holidays in November and December, and that News' trial team has had all summer to prepare for trial, and that only one of News' team of lawyers will be affected by the European vacation. FLOORgraphics also suggested that pre-trial motions could be resolved before October 1. Over FLOORgraphics' opposition, the Court agreed during an August 1 telephone conference to postpone the trial to November 12. Over 4 Years to Trial - This lawsuit was filed more than four years ago, in July 2004. While this case has taken longer than average, it is not uncommon for civil lawsuits to take several years before reaching trial. According to official reports, cases in the U.S. District Court for the District of New Jersey took over 30 months between filing and trial. Some courts, such as the Eastern District of Virginia and the Western District of Wisconsin, move cases to trial significantly faster, but the District of New Jersey's time to trial is more typical. Many litigants lament the delays and costs associated with civil litigation, which is one of the reasons most cases settle before trial and that arbitration has become increasingly popular in recent years. While there are many reasons for the slow nature of civil litigation, more can be done by attorneys and courts to streamline litigation to make it less burdensome on the parties. Related posts: FLOORgraphics' Suit Against News America Set for Trial October 1; Summary Judgment Motion Denied in FGI v. News America Marketing; Study Ranks Top Venues for Patent Litigation. Although unlawful cartels are increasingly recognized as causing substantial public harm, little has been done to create incentives for insiders to expose employers engaged in criminal antitrust activity. Some authorities have suggested that antitrust whistleblowers be rewarded for their information with a share of the criminal or civil antitrust fines collected by the government. The experience of Martin McNulty, my firm’s client, helps demonstrate the skewed incentive structure of the current system, and the need for such a program. Potential Role of Insiders in Exposing Conspiracies - Price-fixing and other criminal cartels are by their very nature covert, and cause substantial harm to the public, often measuring in the tens or hundreds of millions of dollars. In order to effectively fight these secret conspiracies, a wide range of tools are needed. One important and effective tool is a corporate insider, who has access to information concerning a criminal conspiracy and therefore has the ability to expose and derail the conspiracy by providing this information to the government. When working with the government, corporate insiders serve as “informants” and often assist in exposing criminal conspiracies by tape recording conversations and meetings, and providing documents and other information to the government. One dramatic example of a corporate insider working with the government is Mark Whiteacre, whose inside information exposed a massive antitrust conspiracy and led to hundreds of millions of dollars in fines and civil recoveries. 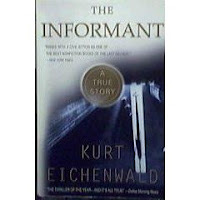 His story was captured by Kurt Eichenwald in a fascinating book called The Informant, which is being made into a movie starring Matt Damon and is scheduled for release in March 2009. Insiders Have Disincentives to Expose Criminal Cartels - It is relatively rare for insiders to expose to the government their employers’ participation in a conspiracy, as the incentives are aligned against it. If insiders cooperate in the cartel, they will likely receive – either directly or indirectly – a portion of the company’s ill-gotten gains. By contrast, becoming an informant to the government “can expose the private party to physical danger, professional retaliation, and social stigma, as well as require an expenditure of time and emotional capital in detecting behavior, sharing information with prosecutors, or testifying as a witness in judicial proceedings.” William E. Kovacic, Private Monitoring & Antitrust Enforcement: Paying Informants to Reveal Cartels, 69 Geo. Wash. L. Rev. 766 (2001). According to one study of whistleblowers in general, over 80 percent of those who reported misconduct to outside authorities were fired, and over half reported deterioration in their family relations. Martin McNulty’s Experience Illustrates Incentives Not to Inform - My firm’s client, Martin McNulty, learned first-hand not only about the rewards he could have received from a criminal cartel, but also about the disincentives of exposing the cartel to the government. According to the Complaint my firm recently filed on his behalf, Mr. McNulty was terminated from his job because of his refusal to participate in his employer’s criminal conspiracy. After he was fired, Mr. McNulty allegedly indicated that he planned to speak to government authorities, leading his former employer to offer him large sums of money if he returned to work and did not follow through with his plan to cooperate with authorities. Mr. McNulty refused. As a result of refusing to participate in his employer’s conspiracy, Mr. McNulty alleges that he not only lost out on the offered payments, but that he was also blackballed by the industry. He was socially isolated, was unemployed for several months, and was eventually forced to take a lower-paying job in another industry. Mr. McNulty eventually lost his house to foreclosure, and has suffered through difficult times for himself and his family. Although anecdotal, the economic pressures he felt are probably typical of potential antitrust whistleblowers – the offers of economic rewards for participating in the cartel, and the threat of economic punishment for refusing to participate and for cooperating with authorities. Incentives Should Be Realigned to Encourage Antitrust Whistleblowers - While whistleblowers are entitled to rewards under the federal False Claims Act, those rewards only apply to recoveries for false or fraudulent sales to the government. If an antitrust conspiracy does not affect sales to the government, then a whistleblower may have no economic incentive to cooperate. The informer's data would be presented in writing to the DOJ. The amount of the informer's bounty—ranging up to as much as 25 percent of all recovered fines and civil penalties—would be set ex post in a court hearing and would be adjusted downward where the informer has helped organize or execute the scheme. Informers would be protected by anti-retaliation safeguards. Informers could be represented by counsel, who would be entitled to the payment of reasonable attorneys’ fees and costs for assisting the informer. Defendant organizations could pursue counterclaims for contribution against informers for their participation in illegal collusion. Experimentation with such a mechanism might run for ten years and would sunset unless reauthorized by Congress. See William E. Kovacic, Antitrust Policy and Horizontal Collusion in the 21st Century, 9 Loy. Consumer L. Rep. 97, 105-06 (1997). Economists and Academics Advocate Antitrust Rewards - FTC Chairman Kovacic is not the only advocate of such rewards. A paper recently presented to the American Antitrust Institute recommends adopting an antitrust reward system for individual whistleblowers, arguing that such a program “would probably spur more cartel discoveries.” See John Connor, American Antitrust Institute, Working Paper #08-02, The United States Department of Justice Antitrust Division’s Cartel Enforcement: Appraisal and Proposals (June 10, 2008) (.pdf download). Similarly, the Anti-Cartel Enforcement Manual published in May 2007 by the International Competition Network points out that “a cartel informant reward program . . . can facilitate the gathering of evidence or information about cartels with minimal effort and cost, and can also help to deter cartel behavior.” In addition, economists and other academics favor the idea. See, e.g., Vivek Ghosal, Cartels in the EU (arguing that whistleblower rewards “could play havoc with their incentives”); Christopher R. Leslie, Cartels, Agency Costs, and Finding Virtue in Faithless Agents, 49 Wm. & Mary L. Rev. 1621, 1623 (2008) (“[A]ntitrust law should reward individuals who expose cartel activity . . . by paying antitrust bounties . . . .”); Cecile Aubert, Patrick Rey, & William E. Kovacic, The Impact of Leniency and Whistle-Blowing Programs on Cartels at 8 (2006) (“To induce firms to report collusion, the antitrust authority needs in general to offer a ‘reward’ . . . large enough to outweigh the punishment from retaliation.”). Other Countries Have Begun Implementing Antitrust Rewards - There are precedents for implementing such a whistleblower rewards program. The False Claims Act offers whistleblower rewards for information about fraud on the U.S. government, including bid-rigging cases. Although it has been criticized in some respects, the False Claims Act has been very successful overall by creating incentives to expose fraud on the government and has resulted in the United States recovering billions of dollars in false or fraudulent claims that it might not have been able to recover otherwise. Moreover, the rewards program that I advocate here would be similar to whistleblower rewards programs that have recently been implemented in South Korea beginning in 2002 and the U.K. beginning in March. (In an earlier blog post – which pre-dated my representation of Mr. McNulty – I suggested that the U.S. follow their lead. South Korea considers its program successful, stating that the number of reports it has received of cartel activity increased after it raised the ceiling for the amount of awards offered. Conclusion - In sum, the existence of more whistleblowers like Marty McNulty or Mark Whiteacre would be a strong deterrent against antitrust conspiracies, as the likelihood of getting caught would significantly increase. Unless the incentives for potential informants are changed, however, there is no reason to think that the number of whistleblowers will increase. Offering informants a small percentage of the fines collected by the government would be a worthwhile investment, and would benefit consumers and taxpayers nationwide. Related Stories: Kotchen & Low LLP Sues Packaged Ice Manufacturers on Behalf of Former Party Time Ice Executive Martin McNulty; Considerations for Individuals Who Refuse to Participate in Illegal Business Practices. Difficult Choice for Executives - A recent case our firm (Kotchen & Low LLP) filed on behalf of an individual (Martin McNulty) against competitors and executives in the packaged ice industry highlights an important choice that many individuals must make when working in (or with) organizations engaged in illegal business practices: whether to sacrifice individual principles and participate in the illegal conduct (which could lead to imprisonment and excessive fines) or refuse to participate in the illegal conduct and face retaliatory measures from an employer or other business partner. Potential Statutory Protections - Just as our client did, some principled individuals choose not to participate in illegal business practices. In making this choice, individuals may feel compelled to report illegal practices to corporate management or the government, or may otherwise find continuing to work for (or with) organizations engaged in illegal business practices untenable. In either scenario, such individuals should be aware of whistleblower protections available to employees that investigate or otherwise report illegal business practices to management or the government as well as financial incentives to report illegal conduct to the government. False Claims Act: In situations in which unlawful business practices may result in the federal government paying more for services or products, an employer cannot discharge, demote, suspend, threaten, harass, or in any manner discriminate against an employee investigating or reporting a potential violation of the False Claims Act. See 31 U.S.C. § 3730(h). Most states have similar statutes. Sarbanes Oxley Act: In situations in which a publicly traded corporation may be engaged in business practices that defraud shareholders, the corporation (or its agents and contractors) cannot “discharge, demote, suspend, threaten, harass, or in any other manner discriminate against [the] employee” for providing information concerning the potential fraud to a supervisor or government regulator (including a member of Congress). See 18 U.S.C. § 1514A. This provision of the Sarbanes Oxley Act is often attributed to the actions of Sherron Watkins from Enron, who provided information to Enron’s CEO (Ken Lay) about the fraudulent practices occurring within the organization. Antitrust Laws: Agreements between an employer and its competitors as to how to treat an employee or employees (or others, including contractors and agents) will almost certainly violate the federal antitrust laws. See Sherman Act, 15 U.S.C. § 1. Most states have similar statutes. Federal Racketeering Laws: Terminating (or otherwise retaliating against) an employee for reporting an illegal practice could, if other conditions are met, violate the federal Racketeer Influenced and Corrupt Organizations Act. See 18 U.S.C. § 1961(e), 1962. Many states have similar statutes. There are also a number of anti-retaliation or whistleblower statutes that address employees who report other specific types of illegal conduct, such as environmental violations or safety violations. Employees should be cautioned that some of these statutes have very short statutes of limitations, requiring that a complaint be filed within as little as 30 days after the retaliatory conduct. Financial Incentives Available for Reporting: The False Claims Act allows individuals who report non-public information to the government to recover a certain percentage of any overcharges the federal government paid as a result of illegal business practices. See 31 U.S.C. § 3729(a). Individuals must meet certain criteria to be eligible to recover for the percentage of the federal government overcharges, such as providing non-public information to the government concerning illegal business practices and being the first individual to file a False Claims Act suit to recover for the overcharges. Most states have analogs to the federal False Claims Act statute. Martin McNulty’s Lawsuit: As a real-life example, our client, Martin McNulty, was allegedly fired and blackballed by the packaged ice industry for refusing to participate in a criminal conspiracy, and for cooperating with a criminal investigation by the Federal Bureau of Investigation and the Department of Justice. He was allegedly offered large sums of money to stop cooperating with the authorities, but was courageous enough to stand up to the conspirators. (More details of his story are available in a Wall Street Journal article and a press release). We filed a Complaint on his behalf seeking past and future lost wages, asserting claims under the antitrust laws, racketeering laws, and state laws. Consulting Legal Counsel: Individuals who are trying to decide how to cope with illegal business practices on the part of their employer (or other organizations) face complex issues that should inform their course of action. Promptly consulting legal counsel will likely help develop workable strategies tailored to their individual needs. Moreover, legal consults are strictly confidential and – at least in the case of Kotchen & Low LLP – initial consultations are free. Related posts: Incentives and Disincentives for Insiders to Expose Unlawful Cartels; Kotchen & Low LLP Sues Packaged Ice Manufacturers on Behalf of Former Party Time Ice Executive Martin McNulty. Detroit, Michigan, August 7, 2008 – Martin G. McNulty, a resident of Novi, Michigan, has filed a lawsuit on July 23, 2008 alleging that he was fired by packaged ice company Arctic Glacier, Inc. for his refusal to participate in a packaged ice industry conspiracy to allocate customers and territories, and alleging that the Defendants participated in a group boycott by refusing to employ Mr. McNulty because of his cooperation with government authorities. Mr. McNulty began cooperating with federal authorities in May 2005, providing information regarding a conspiracy involving Reddy Ice, Arctic Glacier, and Home City, including information about specific meetings and agreements between the Defendants. At the request of the FBI, Mr. McNulty tape recorded a number of telephone calls with members of the conspiracy, and wore a recording device to an in-person meeting with a conspirator. As a result of Mr. McNulty’s actions and the DOJ’s and FBI’s investigation, Home City Ice has pleaded guilty to criminal antitrust charges, a grand jury has been empanelled in Detroit, Michigan to investigate other packaged ice companies, and over 70 civil class action lawsuits have been filed against the ice companies. cartel like Marty did,” stated Daniel Low, a partner at Kotchen & Low LLP, the law firm representing Mr. McNulty. “All too often, potential whistleblowers in Marty’s situation keep quiet because of threats or offers of economic rewards.” The lawsuit alleges that, after Mr. McNulty started cooperating with the authorities, he was offered large sums of money to stop cooperating. Mr. McNulty declined the offer, even though he was unemployed for a number of months, was eventually forced to accept a lower-paying job in another industry, and lost his home to foreclosure. The Washington, DC based law firm of Kotchen & Low LLP was founded earlier this year. The firm specializes, in part, in antitrust and fraud litigation and counseling, and – among other industries – has a particular expertise in the consumer goods and retail industry. The firm’s blog, the Consumer Goods & Retail Industry Litigation Blog, is available at cpglitigation.blogspot.com. Visit http://www.kotchen.com/ to learn more about the firm and its partners, Mr. Kotchen, and Mr. Low. The complaint filed by Kotchen & Low LLP on behalf of Mr. McNulty is available here. Related Post: Revelation of DOJ Antitrust Investigation Lead to Over 70 Civil Lawsuits Against Ice Manufacturers; Considerations for Individuals Who Refuse to Participate in Illegal Business Practices; Incentives and Disincentives for Insiders to Expose Unlawful Cartels. In Insignia Systems’ ongoing against Albertson’s and News America Marketing (discussed in previous posts here, here, and here), Insignia has agreed to dismiss its claims against Albertsons, a grocery chain owned by SuperValu, Inc. The stipulation for dismissal (download as .pdf) was signed July 31, 2008. While the reason for the dismissal is not clear from the stipulation, the dismissal was with prejudice (meaning it cannot be re-filed), and without costs or attorneys’ fees, which might indicate that Insignia did not believe that it had sufficient evidence against Albertsons to proceed. New Trial Date for Insignia v. News – On July 15, 2008, the court issued a new Pretrial Scheduling Order (.pdf), pushing back the trial date to March 20, 2009. The court also set the deadline for expert discovery on October 31, 2008, and for dispositive motions on December 2, 2008. For the Second quarter of 2008, Insignia reported that sales increased by 8.7% and POPS revenue was up 11.1% compared to the year ago quarter. Scott Drill added that “The third quarter will be our all time record POPS revenue quarter.” Legal expenses for the second quarter, however, amounted to $849,000, resulting in net income of $410,000. While the legal expenses are costly in the short-term, there is the possibility of a substantial payoff for Insignia in the long run. Moreover, the existence of Insignia’s lawsuit, even if it is ultimately unsuccessful, has forced News America to think twice before engaging in some of the aggressive tactics that it has allegedly employed against Insignia, Valassis, FLOORgraphics, and others.